The political climate of the meeting was not the best. On 30 August 1954, the French National Assembly, thanks to the votes of the Gaullist and Communist factions, rejected the proposal for a European Defence Community, as well as for a European Political Community connected to the European Defence Community. Therefore it became necessary to find a common ground so that the European construction could be resumed. The European Coal and Steel Community Member States searched for a new basis for agreement, aware that they could not afford another failure. The renewed negotiations were the work of the Benelux countries, who, owing to the efforts of the Dutch Foreign Minister Beyen and his counterparts in Belgium and Luxembourg, Spaak and Bech, submitted a memorandum (the so-called Benelux Memorandum) to the French, Italian and West German governments, which would serve as a basis for future negotiations. The document did not exclude the possibility of moving towards a horizontal way of integration leading to the creation of a true common market among the six countries, while the method promoted by Jean Monnet, which advocated integration by individual sectors (e.g. energy or transport), was still on the table. Even Great Britain participated in the early negotiations, later withdrawing from discussions, convinced that the process was destined to fail. A meeting was therefore organised with the aim of overcoming the impasse of the European integration process. To this end, the Italian Minister of Foreign Affairs, Gaetano Martino, proposed a Conference that would bring together the Foreign Ministers of the six European Coal and Steel Community Member States. The Conference would take place in Messina and Taormina from 1 to 3 June 1955. The place was chosen by Martino, originally from Messina, principally for electoral reasons. On the third day of the Conference, an agreement, known as the Messina Resolution, was reached. 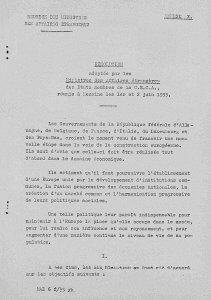 This document reaffirmed the will of the six Member States to set up a European Common Market and a European Atomic Energy Community. A first objective was set: it was decided that a study group should be created, composed of experts nominated by the governments and by the European institutions, tasked with verifying the feasibility of the Messina Conference proposals. Paul Henri Spaak was to preside over this committee, which took his name. He was already President of the International European Movement and a strong supporter of Altiero Spinelli in the fight for the European Political Community. 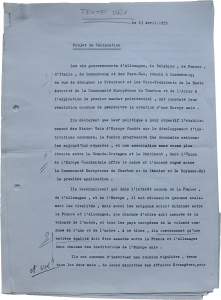 Among the main figures of this phase of negotiations was the French economist Pierre Uri, a close colleague of Jean Monnet, who drafted the preparatory texts for the following negotiation phase, which concluded with the Conference of Venice (29-30 May 1956). The Spaak Committee was tasked with drafting a report on the possibility of creating a European Common Market. 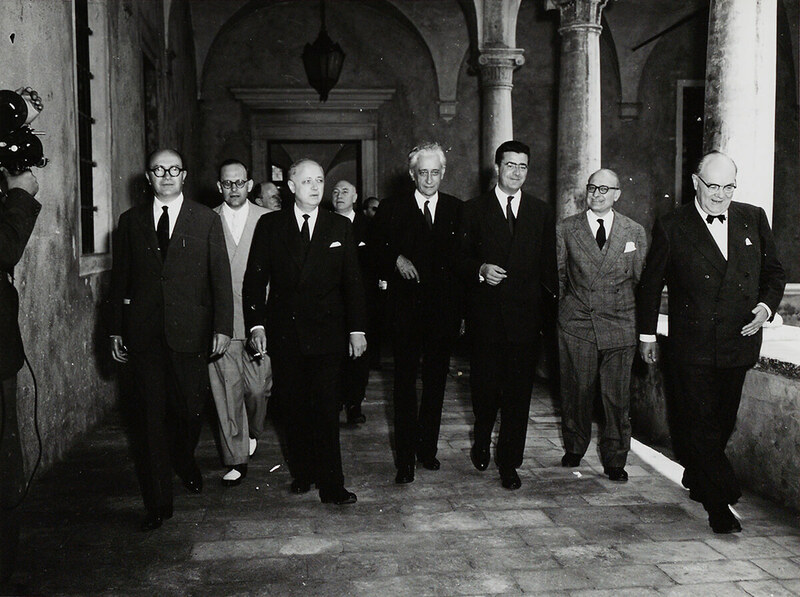 This report, which Spaak presented to the Conference of Foreign Ministers in Venice, opened the way to far-reaching solutions, not just with regard to the atomic energy sector, but also concerning the construction of a European Common Market. On 26 June 1956, in Chateau Val Duchesse, Brussels, the intergovernmental conference began its work preparing the text of the Treaties. The conference, which endorsed the greater part of the Spaak Committee’s proposals, lasted until March 1957 and led to the signing of the Treaties of Rome which, on 25 March 1957, marked the creation of the European Economic Community and of the European Atomic Energy Community. And so, in the spirit of Messina, we present this exhibition which, we hope, may invoke that same climate of intense collaboration and reciprocal understanding among the current European decision makers.